Most universities are back into the swing of things by now, and at this point things are probably not too hectic. However, this is the best time to implement some measures that can help you stay organized throughout the semester. I have put together a few tips that help me stay organized and on top of my school work throughout the semester. This is the one tip that really helps me stay organized throughout the semester. At the start of the semester, I like to go through my syllabi and outline on my calendar the dates when I have tests, assignments or papers due. I find that being able to visualize everything helps me plan out each week and figure out how to best manage my time, to ensure that I meet all my deadlines. This particular tip is especially useful when midterms start approaching because you usually have tests back to back or multiple assignments due at once. 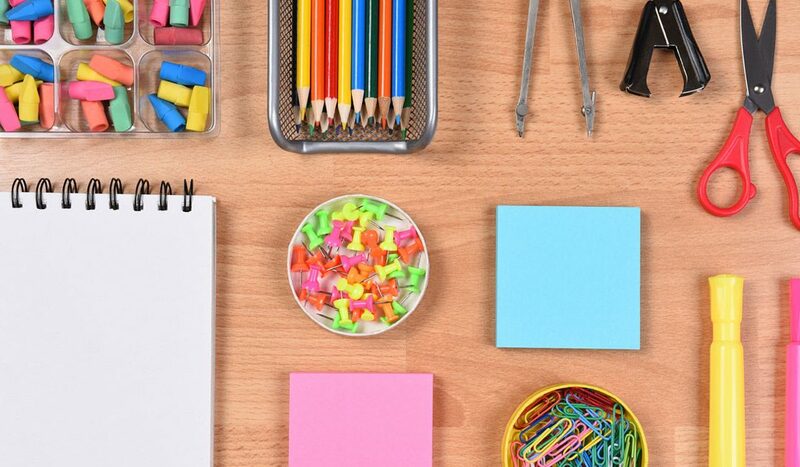 But being able to see everything laid out helps you stay organized. At the start of the semester, you may not have too many assigned readings. And while you may not realize this, time goes by really fast and things start to pile up pretty quickly. It is therefore important to allocate time within each week to completing your readings. This not only helps you stay organized, but it also helps you identify any areas you may be struggling with and seek the help you need before your midterms. At the start of each day, I like to make small notes on what I want to accomplish by the end of the day. While you may not always complete each task on the list, it still helps keeps you on your toes and gives you a sense of direction. So rather than whiling away your time on things that may not be as important, you can dedicate your time to completing things that are more important. This tip is particularly important. Adjusting to life in university can be pretty hard. And not to mention, your course material may sometimes be difficult to comprehend. However, most professors have office hours dedicated to helping students who may have questions on certain aspects of the course material. Your teaching assistants will also be available to answer any questions you may have as you move through the semester. You should make use of all these resources that are available on campus to provide you with the help you may need. I hope you find these few tips useful in helping you stay organized throughout the semester.